Loyalty Member Discounts: 5% Repeat Charterer Discount on charters booked with AYC. For full details on membership to our Captain's and Admiral's Club view "Loyalty Programs" on our website! Multi Week Discounts: Charter for two weeks and receive a 5% discount. 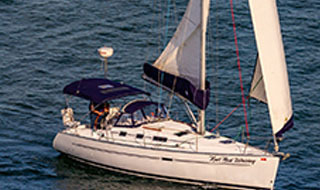 For charters of three (3) weeks or more rates are individually calculated. Flotilla Discounts: Plan a club cruise and receive a group discount. 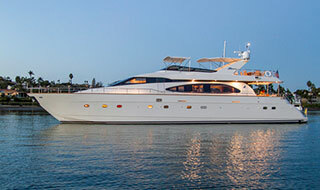 When 5 or more yachts travel together, receive 5% on each charter and 10% on each charter for groups of 10 or more yachts. Unless special promotions apply, discounts may only be combined up to a maximum of 10%. For more information on any of these discounts, please call us toll free at 1-800-233-3004. CLICK HERE TO JOIN OUR MAILING LIST FOR EMAIL-ONLY SPECIALS! Start your summer off right with FREE nights of charter! Book 6 Nights & get 3 add'l FREE! Special applies to NEW bookings on SELECT boats as of 3/13/19 only; Must book 6 nights to get 3 additional free nights; Available dates 4/1 through 6/30/19 only; may not be combined with any other discounts; other restrictions may apply. 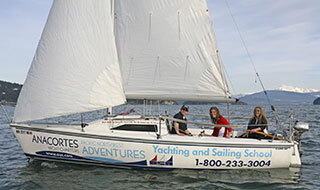 We are very proud to announce that 2019 will mark Anacortes Yacht Charters' 40th anniversary. We are blessed and thankful to be on this journey with so many of you. 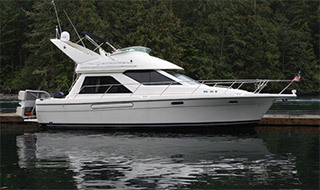 In 1979, Jim Shea started Anacortes Yacht Charters, which was then purchased by Dan and Sherrie Meyer. In 2005, we bought AYC from Kristin's parents, the Meyers, and carried on the family business to the second generation. Along the way, our employees, charter customers and boat owners have been incredibly supportive, loyal and dedicated. It is such a pleasure to enjoy boating, the beautiful San Juan Islands and beyond, with so many amazing people over the years. We hope to see you in 2019 as we celebrate 40 years of making lasting memories. Check out these NEW TO FLEET listings!